The total cost of going to college has declined, not increased. Higher education has become too expensive for too many families, and, as a consequence, too many prospective students are being squeezed out of the market. This statement is widespread, and generally accepted as true. There is no shortage of “evidence,” much of it focused on the rapid escalation of the published prices for tuition—prices that, in most segments of the higher education community and at most campuses within those segments, have risen substantially more rapidly than has the rate of inflation. 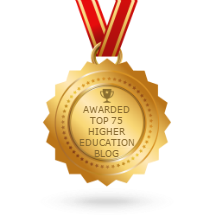 The higher ed debate is creating confusion - what we need is clear thinking and analysis.